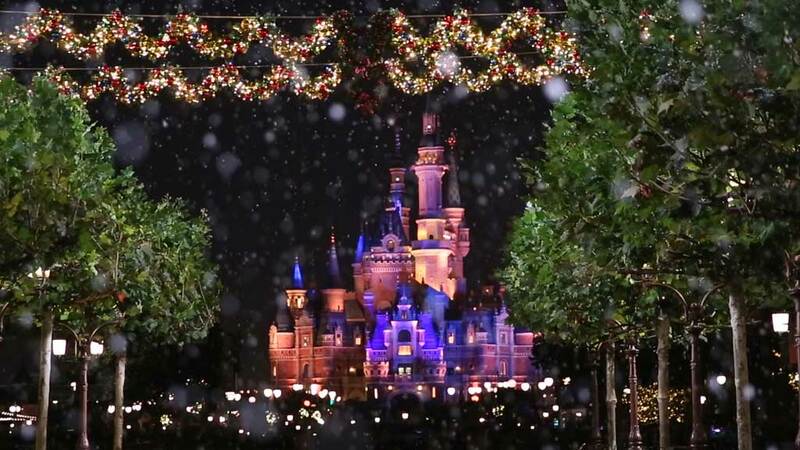 Shanghai, November 23, 2018 – This holiday season, Shanghai Disney Resort will be transformed into an enchanting winter wonderland, as the resort welcomes the festive Christmas season with authentic celebrations. 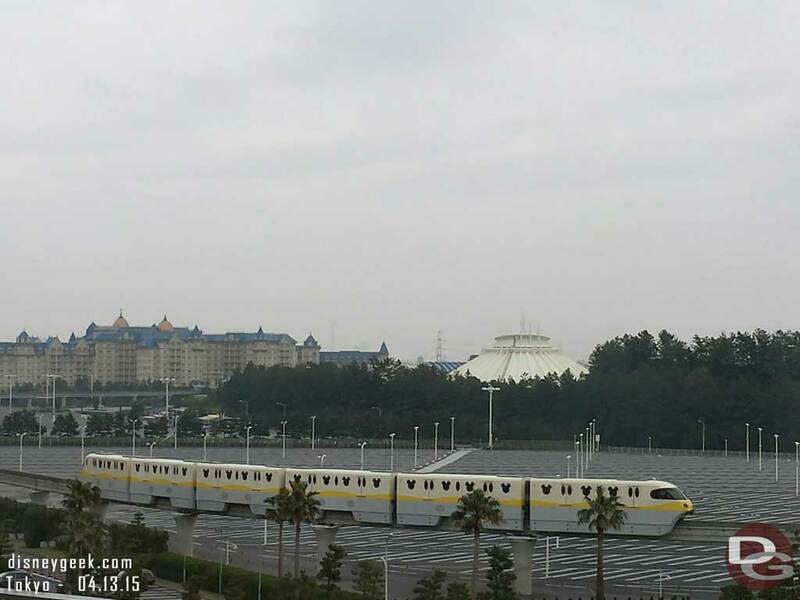 The festivities will kick off this week with the first “snowfall” of winter arriving exclusively at Shanghai Disneyland’s Mickey Avenue. Set to cover the entire street in glistening white flakes, this touch of holiday magic will last all the way through to January 1, 2019. 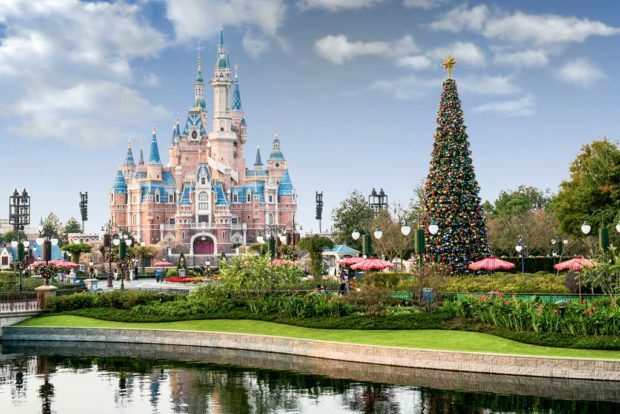 The Christmas season comes as guest satisfaction ratings for Shanghai Disneyland have reached their highest levels since grand opening, with even more options to access Fastpass services and shorter wait times for key attractions. It’s never been a better time to experience the magic of Disney and an authentic Christmas experience. The Christmas festivities extend across the resort, including in Disneytown, where guests are also invited to enjoy the magic of our delightful outdoor skating rink. A first for Disneytown, the Wishing Star Skating Rink opens December 7. In addition to these wintertime wonders, the entire resort will also be bursting with festive Christmas touches designed to welcome guests who come to enjoy a happy holiday with their friends and loved ones. 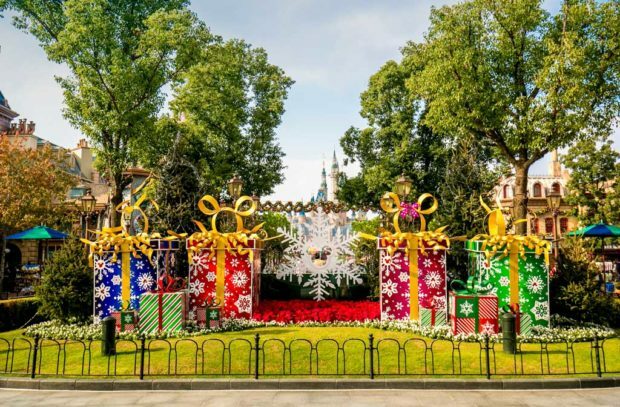 Guests who have long been dreaming of a white Christmas can see their dreams come true this year during a visit to Shanghai Disney Resort. 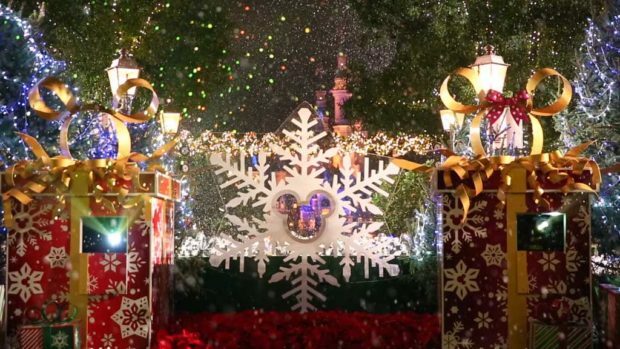 Every evening throughout the holiday season, guests can enjoy a magical winter snowfall of fluffy, white “snowflakes” during the brand-new, “Mickey Avenue Winter Wonderland” show. 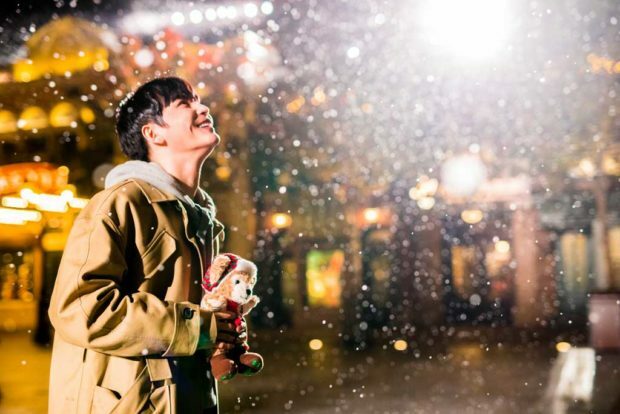 The falling snow adds a memorable touch to the romantic and festive atmosphere on Mickey Avenue this Christmas, and the snowy scenes will offer an ideal place for guests to snap photos and share their experiences with friends and family. For the first time ever, Disneytown will also be hosting a wonderful Wishing Star Skating Rink from December 7 through the end of February, adding extra excitement for guests to enjoy throughout the winter season. The brand new skating rink is a must-visit for all Disney fans as well as friends and families of all ages who are looking to make a lasting winter memory. The rink will be located in the center of the Disneytown Christmas Market and will offer everything guests need to enjoy a special skating experience. No Christmas celebration would be complete without the dazzling “When We’re Together” Tree Lighting Ceremony at the Enchanted Storybook Castle. In this popular show, Olaf from “Frozen” will take guests on a holiday exploration with beautiful projections of holiday traditions dancing along the castle’s façade. The show culminates in a captivating tree-lighting ceremony, when the resort’s towering Christmas tree comes to life with glittering lights and joyous music. 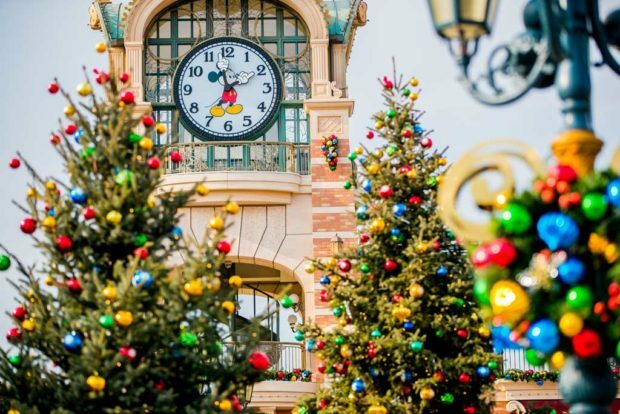 Festive decorations are an essential element of Christmas celebrations around the world, and as guests meander down Mickey Avenue they can witness this tradition firsthand. Storefronts, lampposts and rooftops all along the avenue have been decorated with glimmering garlands, festive ornaments, Christmas wreaths and traditional red bows, adding to the resort’s wondrous wintertime atmosphere. 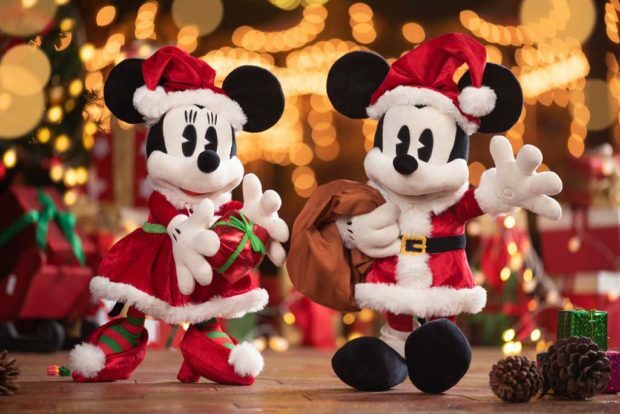 This year, Mickey and Minnie and all their friends will also be dressed in brand new Christmas outfits, and will help to spread the holiday spirit throughout the resort. Each morning, guests can join Mickey, Minnie, Goofy and the Shanghai Disneyland Band as “Happy Holidays Mickey!” returns to the resort. Guests can then gather later in the day to enjoy “Christmas Swing” – the fun, holiday-themed show packed with cheerful songs and Disney pals. On weekdays, guests can also meet Goofy, dressed-up in his signature Santa costume, as he delights guests of all ages along Mickey Avenue with his warm season’s greetings and snaps holiday photos with other merry-makers. 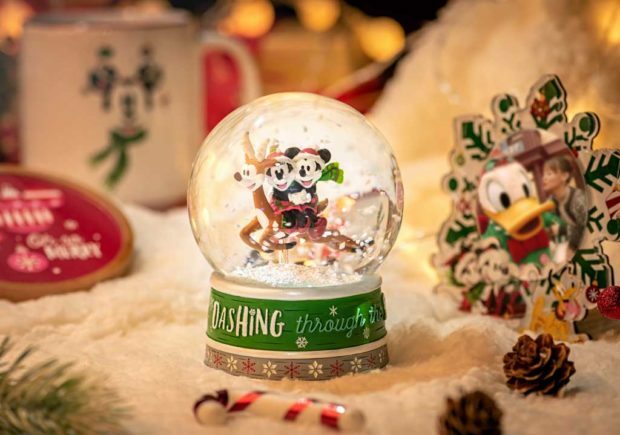 With Christmas being a time for giving, there’s no better place to pick up your holiday gift than at Shanghai Disney Resort this December. The resort’s newest Christmas collection includes more than 30 limited-release products, with designs featuring snowflakes, Christmas trees, gift boxes, sleighs and other classic Christmas elements. 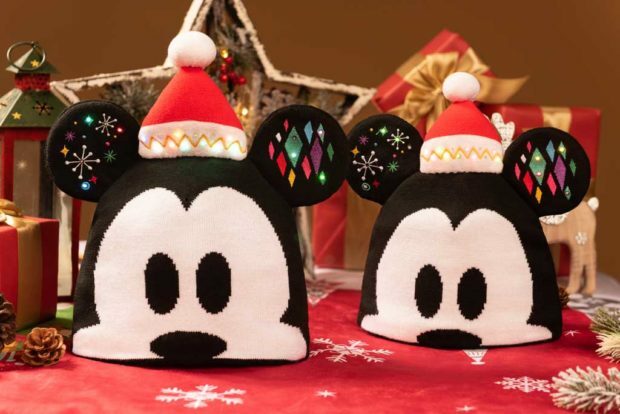 Guests can find new Minnie Mouse headbands in a variety of colors and patterns, a glowing Mickey Mouse Christmas hat, and exclusive youth fleeces that serve as great accessories to wear on a visit to the resort. 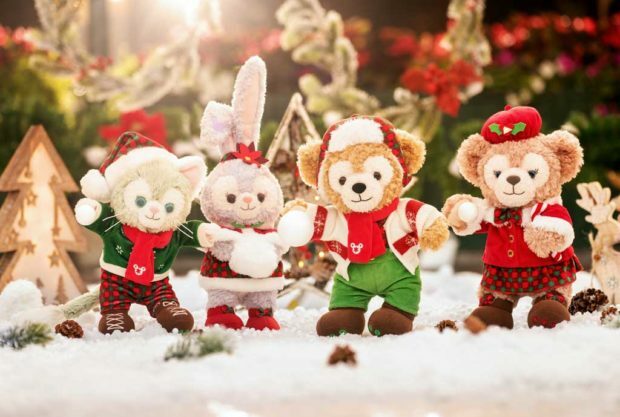 An entire collection of cute Christmas Duffy, ShellieMay, Gelatoni and StellaLou plush dolls and keyrings, as well as blankets and pins also make for exquisite gifts for family and friends. Plus, guests will also find a wide array of home décor and souvenirs to help them create a warm Christmas atmosphere wherever they go. 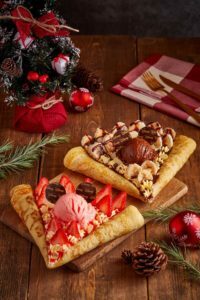 Guests can even enjoy free Christmas gift-wrapping at Sweethearts Confectionery, Intergalactic Imports and the World of Disney Store on any single purchase of RMB300 or more – helping to create beautiful holiday bundles for friends and loved ones. Guest will find themselves surrounded by holiday-themed food and beverage delights while wandering through Shanghai Disney Resort this winter. 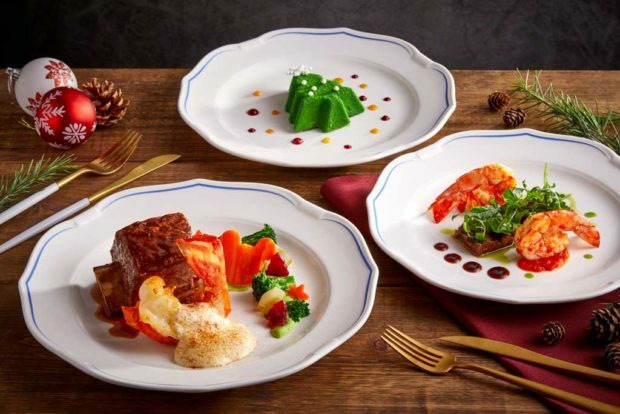 But no Christmas celebration is truly complete without a delicious holiday feast.In honor of the holiday, the Royal Banquet Hall is presenting a brand new Christmas feast this year, featuring slow-cooked beef short rib with porcini rub, vanilla butter poached lobster tail with champagne sabayon, orange truffle chocolate Christmas tree cake, and much more.From the top floor of the Shanghai Disneyland Hotel, guests can also enjoy panoramic views of the Disney castle as they dine on an unforgettable six-course menu at Aurora restaurant. This fine-dining experience is the perfect way to end a trip to the resort or even as a special evening trip out on its own to celebrate the holidays with an authentic Christmas dinner. The Christmas feast at Lumiére’s Kitchen is also a great way to celebrate the holiday with family, and features a sumptuous buffet featuring caviar, oysters, crab legs, sashimi, whole roast turkeys, a wide variety of Christmas desserts, and much more. 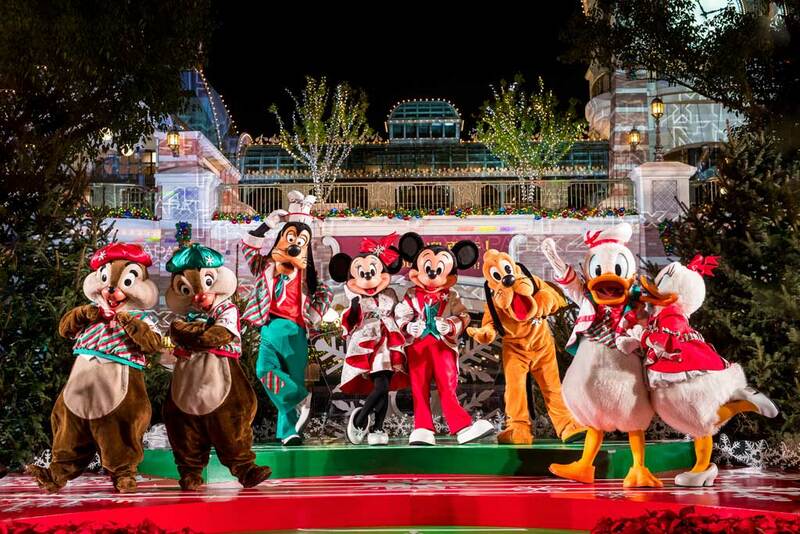 Mickey, Minnie and other Disney friends will also join throughout the meal in their special yuletide apparel. 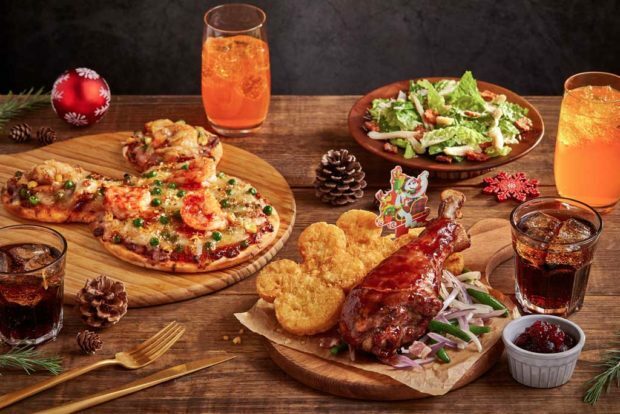 As one of the most iconic holiday dishes, turkey legs will also be on offer as part of the Christmas feast in Pinocchio Village Kitchen, along with Mickey-shaped prawn and crab pizzas to delight guests’ taste buds. 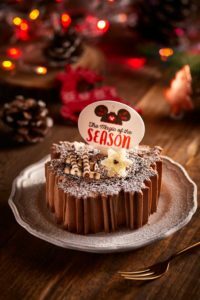 This Christmas, Remy’s Patisserie will also be the destination of choice for those with even the slightest sweet tooth as they roll out their Christmas log cakes, Christmas cupcakes, a fruitcake series, and an upcoming live crêpe station featuring delectable cream fillings and ice cream toppings, with flavors like strawberry, Nutella, banana and chocolate. 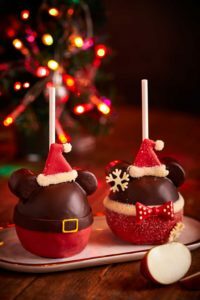 Candy apple treats at Sweethearts Confectionery are also being dressed up in Mickey and Minnie Christmas attire and are ready to be brought home by guests for a fun sweet treat. 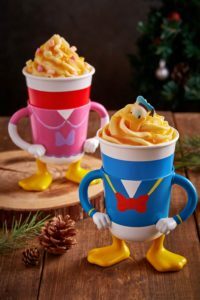 Whether watching the tree lighting ceremony or enjoying a stroll through Mickey Avenue amidst the snowfall, one of the resort’s hot beverages with character-themed Christmas sleeves will also bring even more warmth and magic to your visit. When guests arrive in Disneytown they will see a beautiful Christmas tree with shimmering lights and ornaments on the Marketplace Stage, as well as holiday garlands woven up Spice Alley and down Broadway Boulevard. 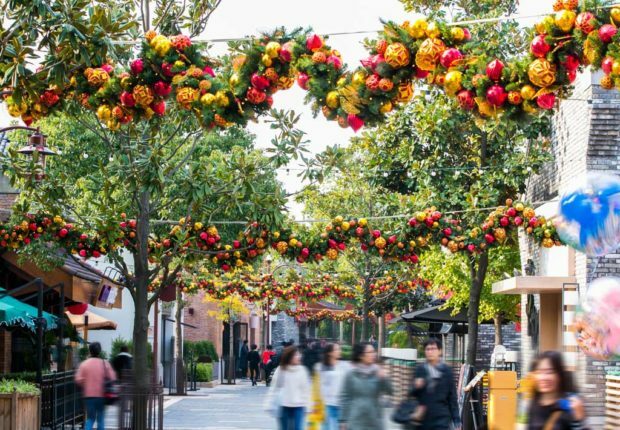 The magic will continue along the Christmas tree trail where eight distinct trees will be decorated to evoke different Disney Characters wind through Disneytown, creating unique photo locations for guests. On Fridays, Saturdays and Sundays, Mickey Mouse will also make a special appearance in Disneytown, joining Christmas carolers as they host a marvelous Disneytown Tree Lighting Ceremony. For guests who are making a multi-day visit to enjoy the plentiful offerings throughout the resort this Christmas, the resort’s two themed hotels are offering a perfect holiday stay. 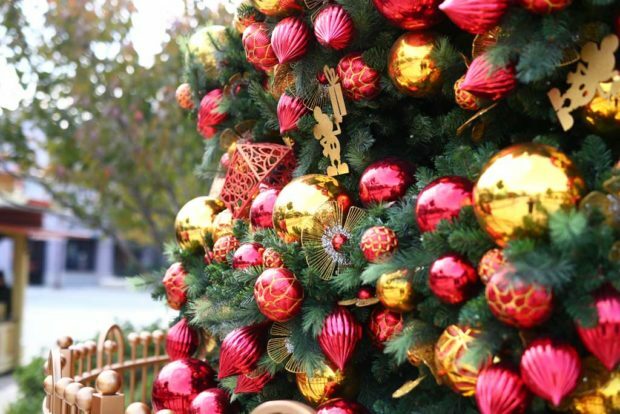 Shanghai Disneyland Hotel will greet guests with a beautiful Christmas tree and ornate decorations throughout the entrance and lobby, plus cheerful surprises like a meet and greet with Christmas Goofy, and visits from roaming carolers singing holiday favorites. 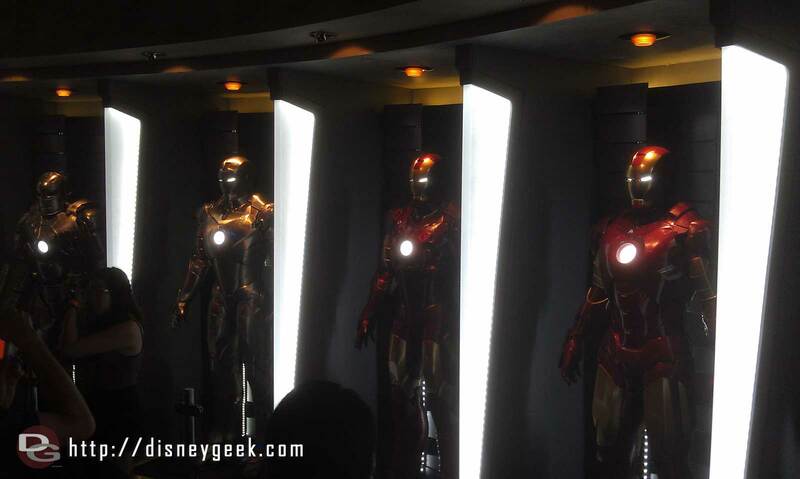 Guests can choose from a variety of themed rooms, with immersive decorations inspired by Christmas Mickey and Minnie, Duffy and friends, or “Frozen”. Each room type features its own magical holiday elements, like snow globes, children’s stationery sets, plush toys, fleece throws and more. Toy Story Hotel will also transport guests into a Christmas world, with its own toy-themed Christmas tree and decorations throughout the lobby, plus a special Mickey and Minnie room option with fun in-room delights. In addition, guests can enjoy a number of gift-inspired activities, including gift wrapping and a Christmas Magical Passing. 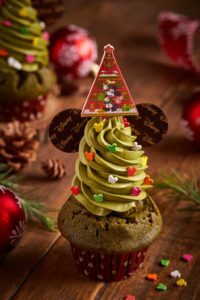 Both hotels will also feature themed drinks, desserts and other holiday treats throughout each of their respective restaurants and food service locations. This morning the rain is threatening. Forecast says 100% chance of rain today. Off to #TokyoDisneySea for the day. 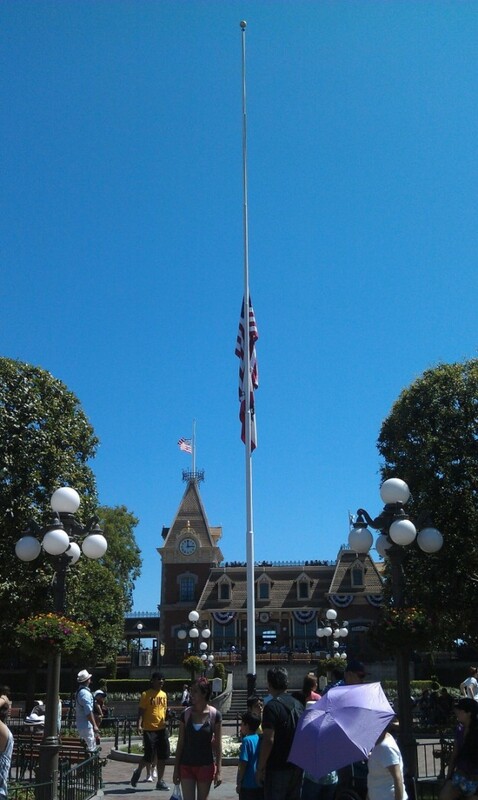 Disneyland flags are at half staff today to honor the victims of the shootings in Colorado.